The Timber Corps was a separate branch of the Women’s Land Army and was started in 1942 due to the German occupation of Norway causing a shortage of imported timber. This branch received even less recognition than the typical Land Girl. The WTC uniform was slightly different as ‘Lumber Jills’ had a ‘beret’ instead of a hat and had a different arm band. 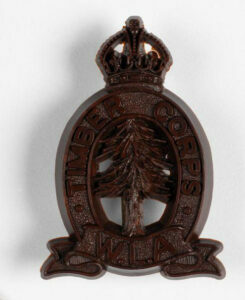 Their badge showed a fir tree, as opposed to the sheaf of wheat for the Women’s Land Army. More so in this type of work, the women worked alongside men who had to teach them everything about chopping of the tree, through to loading it onto a lorry. The work didn’t just include the wielding of an axe, but also the skilled work of measuring of trees and the undertaking of the administrative work out in the forests. Lumber Jills worked from 7am to 4:30 – slightly shorter when compared to the girls on the fields. This created some barriers between the different branches of the Women’s Land Army, as Land Girls often thought the Timber Corps had the ‘soft option’. Nevertheless, as part of the interview process, Lumber Jills had to pass a stricter medical examination than Land Girls. Click on the above collage to be taken to the ‘September Activity of the Month’, which provides details on each image. The Women’s Timber Corps Memorial Statue was erected on 10th October 2007, in recognition of the work of the Timber Corps in Scotland. A Unique Tribute to the Lumber Jills from WeeFlee Productions on Vimeo. 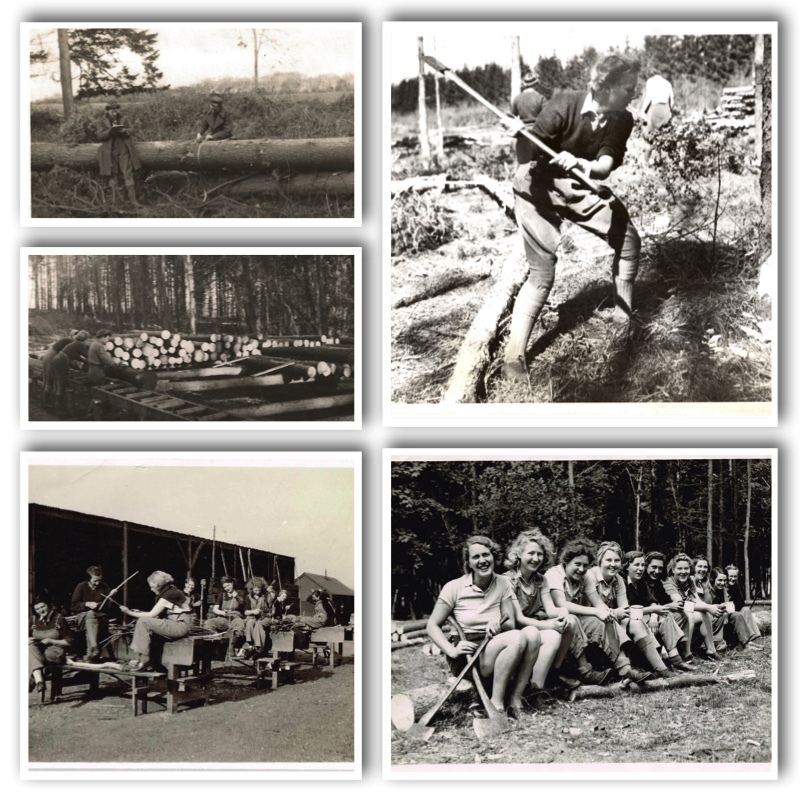 Photos of Lumber Jills working at Culford Camp, in Suffolk. Photos of Lumber Jills working in Wareham, Dorset.